Assorted gift box of one pound gourmet sugar free chocolates. Photo shows .5 lb and 1 lb box each with two layers of goodies. Showcase boxes available with free gift wrap. Add request to notes section when placing order. 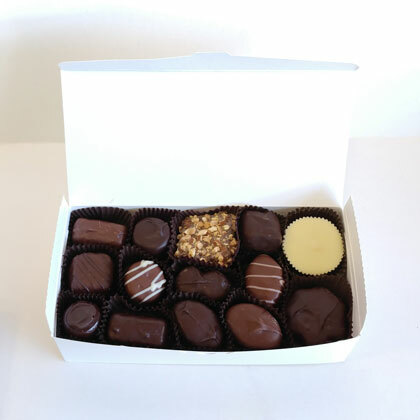 See more options under "Sugar Free Gourmet Chocolates."